Objective: To provide excellent translation services for Rolls Royce and on-site interpreting at Spanish oil refinary plant “Cepsa” in Huelva using RB211 aero engines to produce 27MW for the local grid. Pangeanic was the sole supplier of language consultancy services for the Rolls Royce Industrial & Marine Cepsa co-generation plant in Huelva. Spanish contracting company Cepsa was very pleased with the high standard of the on-site engineers placed at interpreting sessions, dealing with the complicated working of the aero-designed RB211 and gas turbines to generate 27MW for the local grid. The training took place over a period of 4 months. It also included software training and the translation of a vast amount of documentation and training manuals. Objective: To extend the provision of excellent translation services for Rolls Royce and on-site interpreting for regional power grid authorities in Ushuaia (Argentina) using RB211 aero engines to produce 27MW for the local grid. Solution: A team of 2 highly technical translators English-Spanish led by an expert project manager and a technical reviewer / proof-reader worked to adapt the documentation from European Spanish to Argentianean Spanish. The team provided ongoing translation services for the British firm. 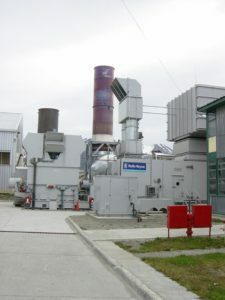 Pangeanic was the sole supplier of language consultancy services for the Rolls Royce Industrial & Marine “Dirección General de Energía” co-generation plant in Ushuaia, Argentina.